I’m starting a new series on this blog. 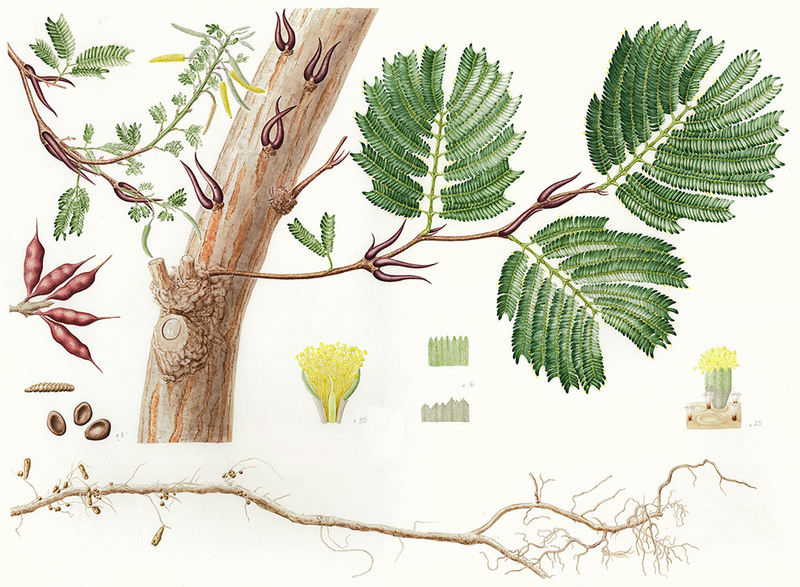 One of my favourite fields in science communication is illustration and art – accurate and meticulous botanical drawings, imaginings of feathery dinosaurs, paintings of the cosmos, cartoons, all of it. However, until now I haven’t really shared a lot of visuals during my one-year blogging project. I think it’s time to change that. From now on I’m nominating Wednesdays as Picture days! The first feature starts now. Have you ever wondered about the amount of work that goes into producing a botanical illustration? On paper these dissected, scientifically accurate life-stills appear effortless, and yet behind each one is an artist who has been collecting, dissecting, magnifying, photographing, sketching, and colouring. I got very interested in those small brown cups in between the flowers, I think they are probably trichomes of some sort. They start out as fishy scales covering the flower buds, and persist on their stalks as trumpet-shaped structures after the flowers fall off. 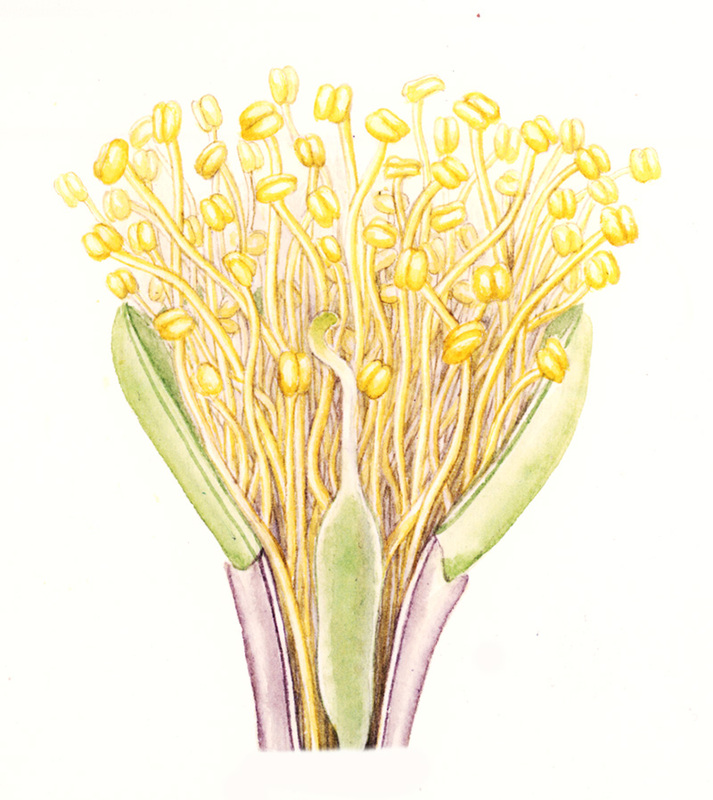 The end result you see above is the dissection of one single flower of the tree, no larger than a few millimetres. And this beautiful piece wasn’t even what made it into the final illustration. It was just a sketch. To see photographs of the process and admire more sketches along the way, please read Sarah’s blog post. Can you spot the flower dissection in the featured image on top of this article?